MEC’s Sales and Marketing Manager Andrew Rayner and sales team colleagues Phil and Russ have just returned from a highly successful exhibition in Dubai. 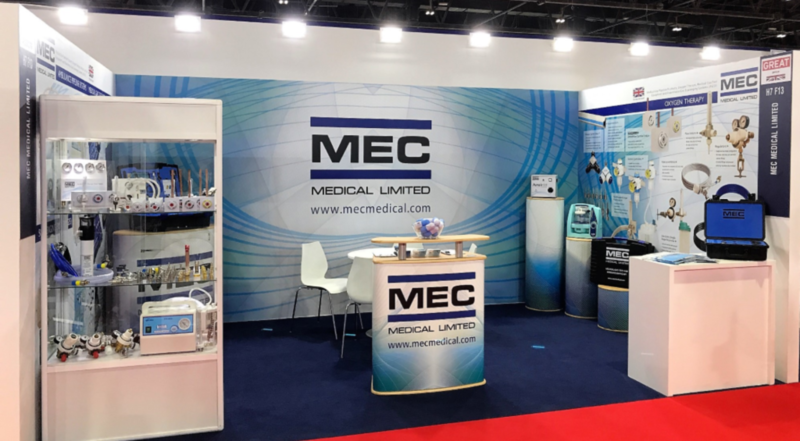 While at the Arab Health 2018 from January 29 to February 1 the MEC team enjoyed meeting old friends, making new acquaintances and mingling with the thousands of delegates at Dubai World Trade Center. MEC will be back in UAE next year for the Arab Health 2019 Exhibition.